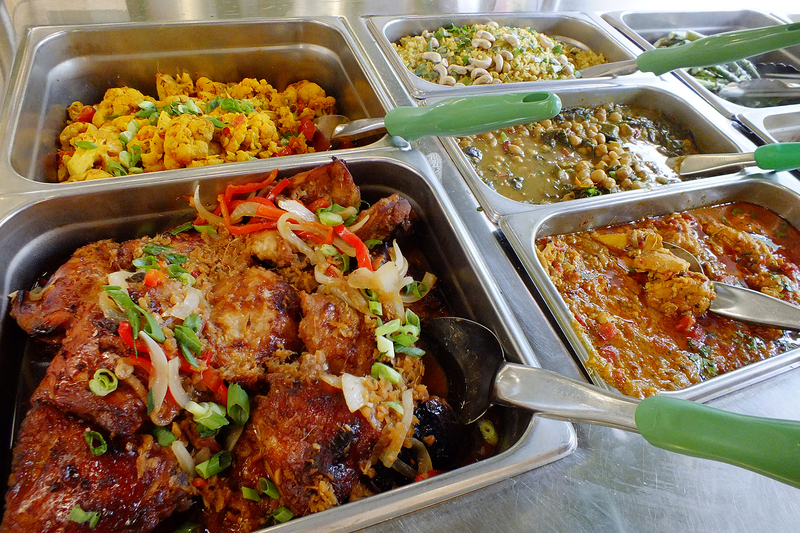 Oryana’s Hot Bar has a loyal following, with devotees from every dietary walk of life. Our Kitchen is proud to offer a wide variety of delicious, made-from-scratch dishes that are the perfect match for any craving. We update these delicious offerings every day so you can plan just what to get on your way through. We also offer a full Breakfast Hot Bar complete with full-of-flavor burritos, wrapped breakfast sandwiches and mouth-watering side dishes. The Hot Bar, along with the Oryana Café which serves a full slate of espresso and locally-roasted coffee options, opens at 7:30 am Monday – Saturday and at 9:00 am on Sundays.